As a bride, one of the main parts of your wedding day is the gown that you choose to wear when you walk down the aisle. Your guests will be quick to take notice of the dress that you select, which will influence the overall theme of your wedding. The style and design that you choose will also enhance how beautiful you look when making your entrance. If you want to look stylish and chic, there are a few top trends to consider for bridal dresses in 2018. Bell sleeves have re-emerged onto the runway from past decades and add a touch of flair to classic gowns. The retro detail will look lovely on slim-fitting dresses for a bohemian style that is classy and laidback. If you want to rock a vintage dress without going overboard, bell sleeves are a gorgeous option that will work with both short and long dresses. Bell sleeves look beautiful when paired with chunky heels or a slim formal belt and will create a statement look that will be unforgettable. It can be hard to choose a stylish wedding dress that stands out if you’re planning a winter wedding. 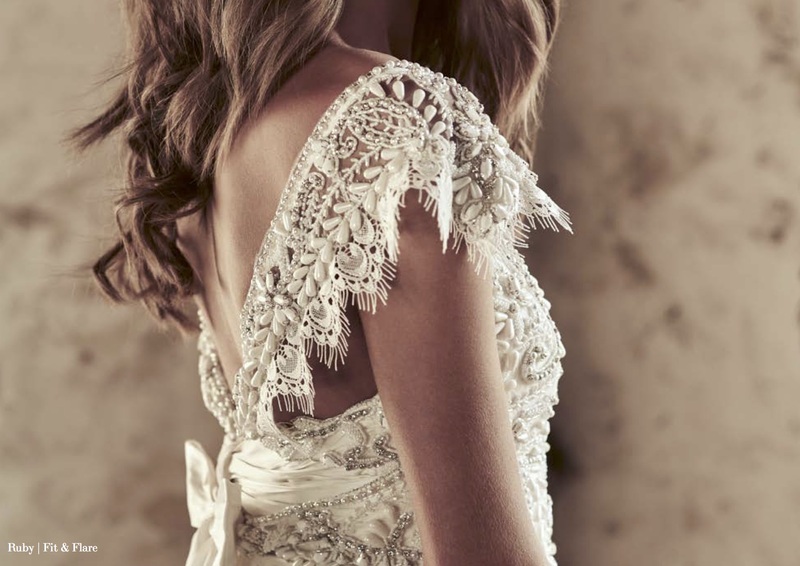 Although most people opt for long-sleeve lace dresses, there are other ways to make your gown stand out when saying, “I do.” Opt for wearing a cape, which is a stylish accessory that will drape your shoulders and will look fabulous with different types of styles. Lace capes are incredibly dramatic and will add to the silhouette of wedding dresses in Columbus. Vintage capes also feature fur collars when you want a style that nods to the theme of your event. When you want to wear a white wedding dress but add a pop of color, accent pieces are a popular trend for the year. Black accents are incredibly chic and classic when you want to maintain a formal look as a bride. Although all-black gowns were popular in recent years, more brides want a subtle black touch that isn’t overwhelming. Consider finding a dress that has a black bow on the back or a black belt around the waist, which can create a slimming effect. You can also consider wearing black gloves or a black veil to balance out the look of the white dress.